I feel funny calling this a “recipe” because it is so simple. I often make this on a weekend when I’m spending the day outside gardening or working on indoor projects. It also makes great leftovers for the week ahead: I use it in sandwiches and wraps or on top of salads. I don’t specify a size for the chicken but as a general rule, I assume a 4-lb. chicken will serve four adults. Plan on about 20 minutes per pound in the oven. Remove innards from chicken cavity and rinse chicken under cold running water. Dry thoroughly with paper towels. Liberally cover skin with kosher salt, then drizzle with olive oil. Place chicken, breast down, in a cast-iron pan. Roast uncovered for 20 minutes per pound. 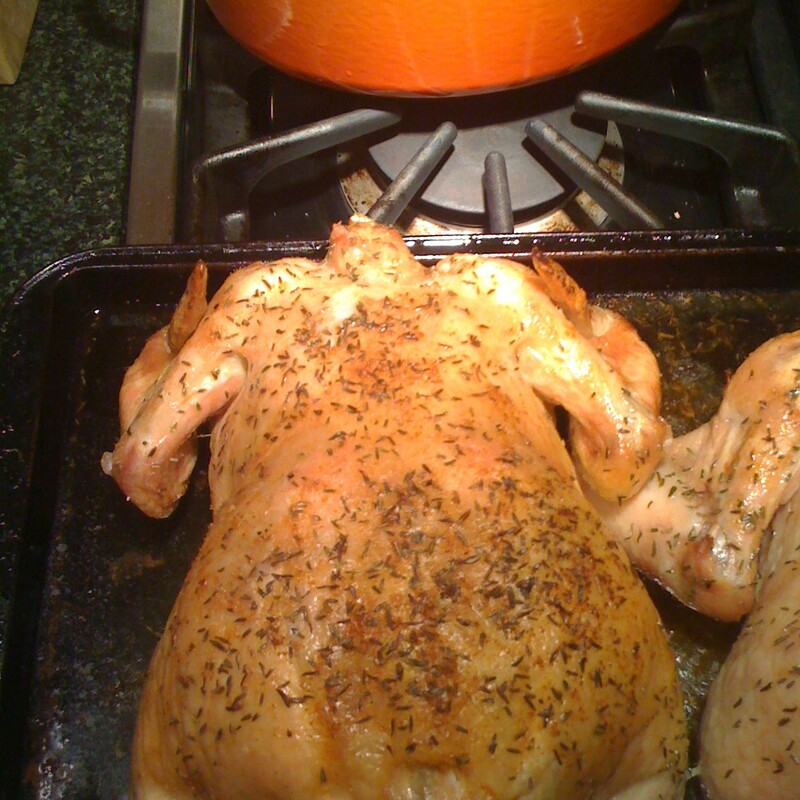 Chicken is done when juices run clear or the internal temperature is 140 degrees. Tina’s Tip: Sometimes I vary this by adding garlic powder and thyme or paprika to the salt. I sometimes stuff the cavity with a combination of parsley, celery, lemon wedges, whole shallots or garlic cloves. This infuses the chicken with different flavors without overpowering. I advise you to play around with ingredients to see what you like best–I often use whatever I have in the refrigerator or pantry. 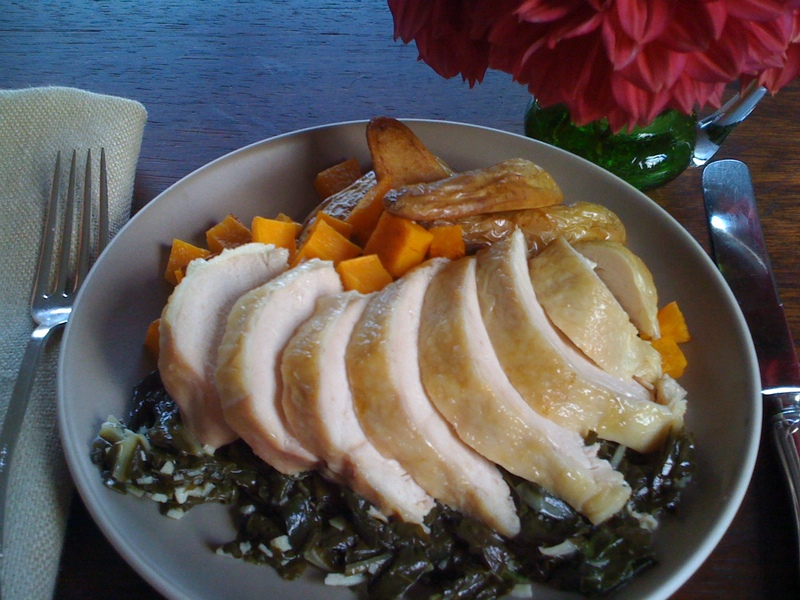 This entry was posted in Poultry, Recipes and tagged Chicken, Dinner, Recipe. Bookmark the permalink. Your chicken looks perfectly cooked, I’m very impressed.